Off northeastern Panama, in the indigenous territory of Guna Yala (previously known as Kuna Yala), are the San Blas Islands, an archipelago of more than 370 islands that offer a perfect mix of stunning white beaches, crystal-clear water, sailing and an authentic Indian culture. A slightly off the beaten track destination, there are a few tips vital for anyone looking to take a private yacht to or charter a superyacht in the San Blas Islands. 1. 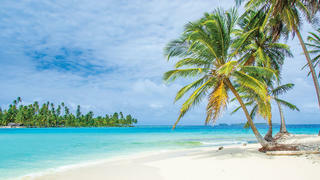 Ensure your crew are route savvy “It is quite challenging to cruise the San Blas, but Eric Bauhaus’ guide The Panama Cruising Guide 5th Edition is very accurate,” said Carolijn Bijker, founder of Oceantrips. She advised visitors to use common sense, never navigate in the dark and always check the depth sounder. Off northeastern Panama, in the indigenous territory of Guna Yala (previously known as Kuna Yala), are the San Blas Islands, an archipelago of more than 370 islands that offer a perfect mix of stunning white beaches, crystal-clear water, sailing and an authentic Indian culture. A slightly off the beaten track destination, there are a few tips vital for anyone looking to take a private yacht to or charter a superyacht in the San Blas Islands. “It is quite challenging to cruise the San Blas, but Eric Bauhaus’ guide The Panama Cruising Guide 5th Edition is very accurate,” said Carolijn Bijker, founder of Oceantrips. She advised visitors to use common sense, never navigate in the dark and always check the depth sounder. The semi-autonomous, nature-revering Kuna people, who inhabit 49 of these islands, don’t permit scuba diving in these waters. However, you can enjoy the fish and coral life with a mask and snorkel. The best snorkel spots are around the uninhabited outer islands — Bijker recommended the Holandes Cays, a group of 21 mostly deserted islands and the farthest from the mainland. “Here, you really have the feeling that you’re stepping into another world. There are no other tourists; plus, the Kuna here keep their beaches clean and tidy,” she said. These quiet spots are some of the world's most romantic beaches to visit by superyacht. Additionally, the Swimming Pool anchorage, near BBQ and Benedup islands in the East Holandes Cays, is quite popular. Other good snorkelling locations include the Coco Banderas Cays and Isla Perro (Dog Island). The semi-autonomous, nature-revering Kuna people, who inhabit 49 of these islands, don’t permit scuba diving in these waters. 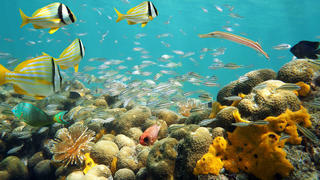 However, you can enjoy the fish and coral life with a mask and snorkel. The best snorkel spots are around the uninhabited outer islands — Bijker recommended the Holandes Cays, a group of 21 mostly deserted islands and the farthest from the mainland. “Here, you really have the feeling that you’re stepping into another world. There are no other tourists; plus, the Kuna here keep their beaches clean and tidy,” she said. These quiet spots are some of the world's most romantic beaches to visit by superyacht. Additionally, the Swimming Pool anchorage, near BBQ and Benedup islands in the East Holandes Cays, is quite popular. Other good snorkelling locations include the Coco Banderas Cays and Isla Perro (Dog Island). For land-based fun, Bijker suggested pausing at Cayos Chichime, which has a very basic little bar on the beach with stunning sea views. Visitors should try a traditional meal in San Blas, such as red snapper served with coconut-flavoured rice. Wash it down with a Coco Loco, a fresh coconut filled with brown rum. “The San Blas are remote, with no modern facilities like marinas, docks, grocery stores and large restaurants,” added Bijker. She suggested that guests on the islands should buy a lobster from a local fisherman, find one of the best picnic spots on the beach and have it grilled with butter and garlic. It's important to note that the Kuna people don’t allow tourists to fish or collect coconuts on the islands. Purchase these items from locals — and ensure your crew have enough provisions on board the yacht prior to arrival. For land-based fun, Bijker suggested pausing at Cayos Chichime, which has a very basic little bar on the beach with stunning sea views. Visitors should try a traditional meal in San Blas, such as red snapper served with coconut-flavoured rice. Wash it down with a Coco Loco, a fresh coconut filled with brown rum. “The San Blas are remote, with no modern facilities like marinas, docks, grocery stores and large restaurants,” added Bijker. She suggested that guests on the islands should buy a lobster from a local fisherman, find one of the best picnic spots on the beach and have it grilled with butter and garlic. 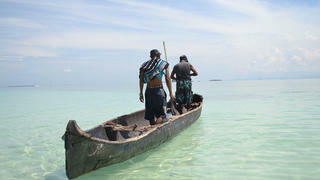 It's important to note that the Kuna people don’t allow tourists to fish or collect coconuts on the islands. Purchase these items from locals — and ensure your crew have enough provisions on board the yacht prior to arrival. 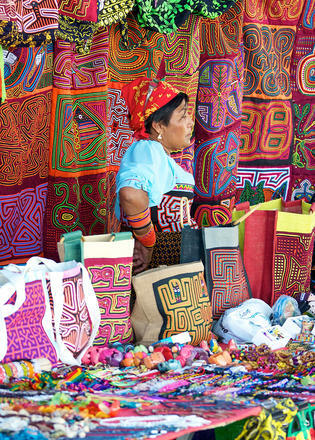 If you're looking for a couple of souvenirs to take home after your trip, you'll find stunning handmade traditional pieces being sold throughout the islands. Mola is the Kuna word for clothing, and it also refers to the embroidered panels on the front and back of a Kuna woman’s traditional blouse.